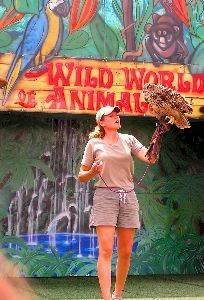 The Wild World of Animals is a fast-paced, entertaining and educational program which is performed on a colorfully painted stage. They come completely self-contained, needing only 24-hour electric and water for the event. 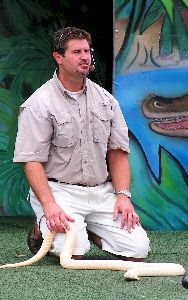 The show features a variety of animals -- reptiles, birds and mammals -- including: American alligator, alligator snapping turtle, albino monocle cobra, reticulated python, European eagle owl, blue and gold macaw, opossum, binturong, spot-nose guenon (monkey) and an African spotted leopard or hyena. The show is originally scripted and is full of laughs. 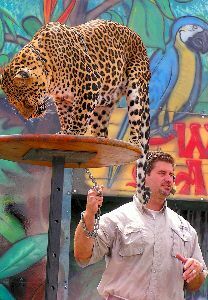 We involve volunteers in the show at a few points as well. 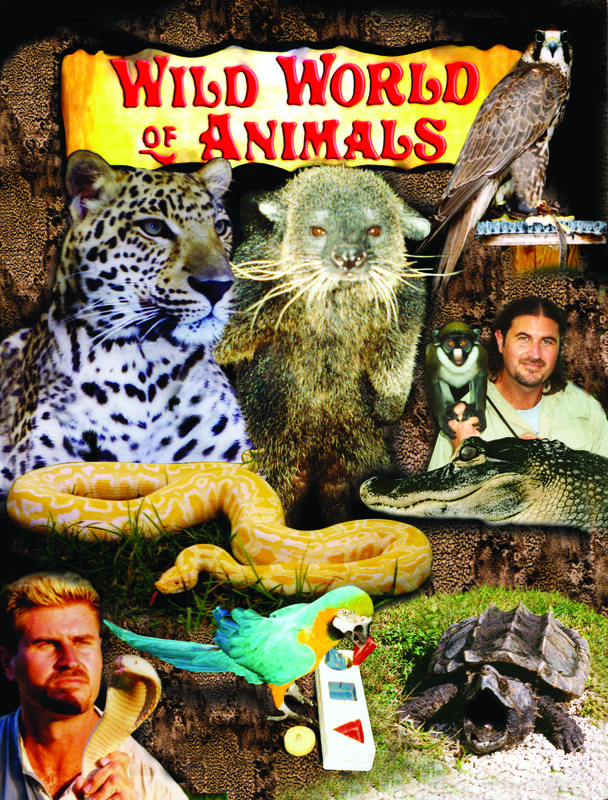 The show is highly praised and appreciated for its educational content. It has a nice balance of both entertainment and education and is always very nicely received, playing well in the most rural of areas to the most urban. Call or e-mail Artists & Attractions today for booking information.